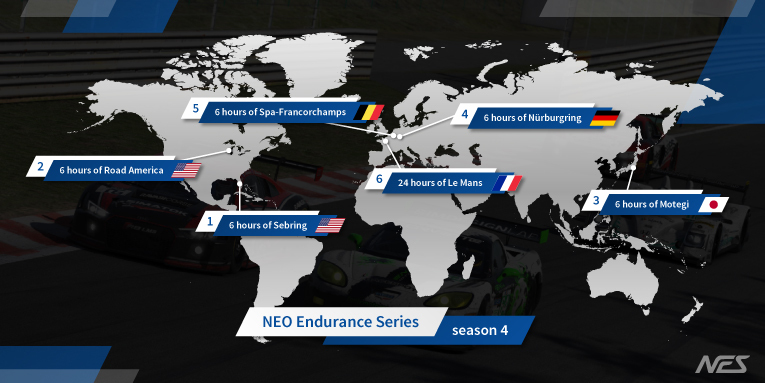 A couple of weeks ago NEO Endurance published all details for the fourth season of the NEO Endurance Series (NES). Almost everything on the organisation side has evolved, thanks to another year of experience. The season 4 schedule has been published a couple of months ago. The length of the season has remained the same, as well as most of the venues NES will visit. There is one major change on the schedule: Road America replaced Circuit of the Americas. Traditionally the season will kick-off at the bumpy and iconic Sebring International Raceway. For round 2 we go to Road America. This track has a lot of history in the American autosport and NEO is excited to go to this venue. The third round is at Twin Ring Motegi, in the night. The second half of the season are European rounds again with Nürburgring, Spa-Francorchamps, and the big finale at Circuit de la Sarthe, Le Mans. For full details on the season, please go to the schedule’s page. The cars for this season is probably the biggest change for season 4. The HPD ARX-01c remains in the Prototype class, but in both GT and GTS we say goodbye to the Aston Martin DBR9, Corvette C6.R, Audi R8 LMS, and Mercedes AMG. The GTS class is gone for this season, but in GT the teams have new toys to play with: Ford GT and the Ferrari 488. The GT class moves from the GT1 towards the new GTE specifications. For full details about the cars and classes, please go to the classes page. As usual, each rule has been evaluated and improved when necessary. Thanks to the solid foundation created in the last three seasons, not a lot was changed. For full all regulations and more details, please read the NES4 Sporting Regulations. The points system has been adjusted to accommodate the larger grids, due to the removal of GTS class. Previously the top 15 would score points. This season it is the top 20 who score points. Just like last year there are double points on the line for the NES 24 hours of Le Mans. Until now the CleanX Challenge was a competition on a race by race basis. The entry with the least amount of incident points in its class would win a prize. In season 4 the CleanX Challenge will be a season long competition. This should encourage the teams to drive safe throughout the whole season. 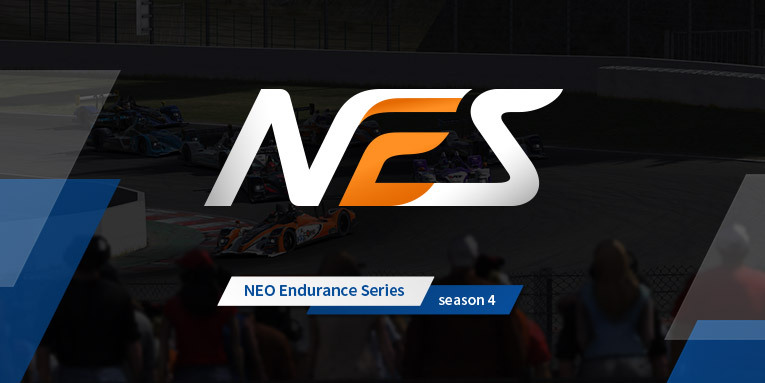 If you are interested in joining NES, please read the NES4 Registration Regulations on how to join the NEO Endurance Series with your team.